Now that you have your flexible meal plan and grocery list..you need to stop and check the grocery store loss leaders. While you are grocery budgeting, one way to save big at the grocery store is to use these Loss Leaders to save on rock bottom prices. These are the ads that you get in the mail from the grocery stores. Loss leaders is a term that grocery stores use for grocery items they are willing to take a dollar loss on that week. You know those sales that are in your mail box each week. If the stores near you are having a BIG sale on a certain meat or canned goods..stock up AND readjust your menu. 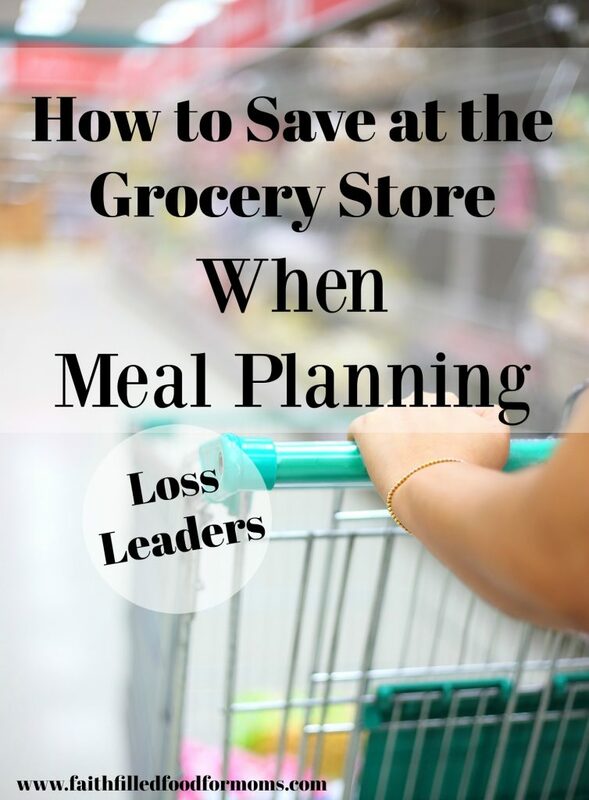 This is a fantastic way you can save at the grocery store when meal planning. BIG SAVINGS. 5 Want to learn a little more about How to Use Coupons and SAVE BIG? Just because something is on sale doesn’t mean you have to buy it or that it is a good deal. If your family doesn’t like it, it’s not a good deal. 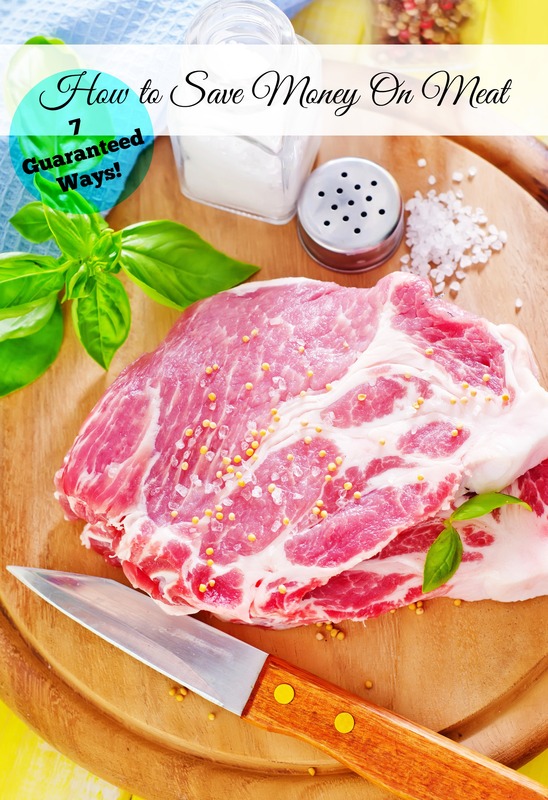 Yes, you may have to revamp a few of your meals for the month, but remember, once you have your master menu and master shopping list..it’s only going to take a few minutes to read the ads, adjust and add a couple of new meals with what’s on sale. Loss Leaders only come out once a week. So you may want to save money in your food budget for buying some extra things that are on sale. If you have a very limited budget, look at the loss leaders through the eyes of “need” only. Don’t adjust your whole healthy menu plan just because pasta is on sale. Only adjust your menus for high priced food items like meat, seafood and things like that. 1) Do NOT adjust your meal plan unless the sales at the store are irresistible. Seriously, there will always be great sales at the stores (weekly) and if you run out every week to buy the latest sales items you will not be able to maintain any of the above. 2) Your menu will go out the window, along with your grocery list, along with your budget. Oh and your sanity! 3) Use the front page of the loss leader for the biggest savings, Then only you can decide whether you want to buy and adjust. 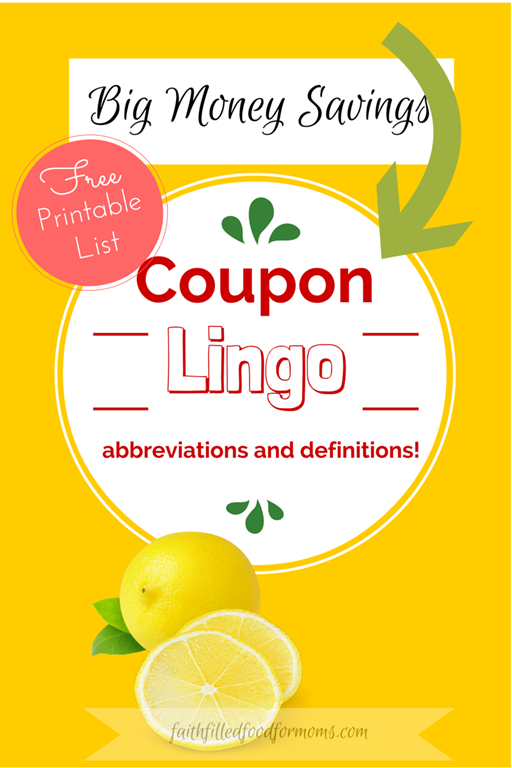 Want to learn a little more about How to Use Coupons and SAVE BIG? Great tips! I didn’t know that the grocery inserts were loss leaders, so I learned something today! Shari I so agree to the stick to it! I try to sneak & do most of my food shopping when hubby doesn’t go so I can easily do that lol!! This is a fresh perspective on saving when meal planning/saving. I have been really trying to bring our grocery bill down. We’re always over budget. This month may be the first time in a few years that we will come slightly under budget. I would like to be WAY under budget but first things first…. Great tips! Making a meal plan really has helped me save money! No roaming around guessing, I have a list that I stick to it! I would love if you would stop by and share on my Friday Favorites linkup! This was a good time for me to read as I am just getting back into meal planning. Thank you for sharing this. Great tips! I need to get better about having a plan when I shop for groceries! Thanks so much for sharing at my Creative Ways Link Party. I hope you’ll be back again this week!